As of 2018 the WCC have entered into a partnership with the Zurich based insurance broker AssurancePro. The agreement permits AssurancePro to contact WCC members to introduce themselves via letter/email and invite members to contact them for a consultation. This could be followed up by a phone call. 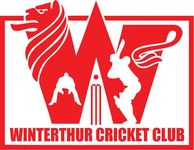 In return the Winterthur Cricket Club will be rewarded via a cash-back system for every change of insurance and closure of a policy through AssurancePro. Special consideration has been given to protect members by limiting the number of letters/emails that can be sent & calls that can be made. Contact details are also protected by a data privacy agreement to ensure they are not shared with third parties and used for any other purpose. The agreement runs for one year and it is hoped that this proves to be a profitable agreement for all concerned by providing members that chose to use AssurancePro's broker services with competitive quotes for policies from a range of AssurancePro insurance partners. You can contact AssurancePro via the AssurancePro website by clicking on the logo on the right of this webpage. For more information on this please email Alex Mackay.